Vegetables and fruits in particular provide a source of nutrients and fiber in the human diet. Their production in hindered by various biotic and abiotic factors, amongst which biotic constraints are more important. These vegetables and fruit crops are not spared from destruction by fungal, bacterial, viral as well as nematode pathogens. The challenges for producess in managing these diseases are ever increasing, as consumer demand for year round production of fresh vegetables and fruits with reduced or non pesticide residue. The present book “Diseases of Vegetables and Fruits: Current Status and their Management” compile the major diseases occurring on the commercial important vegetable and fruit crops along with the symptoms and management. 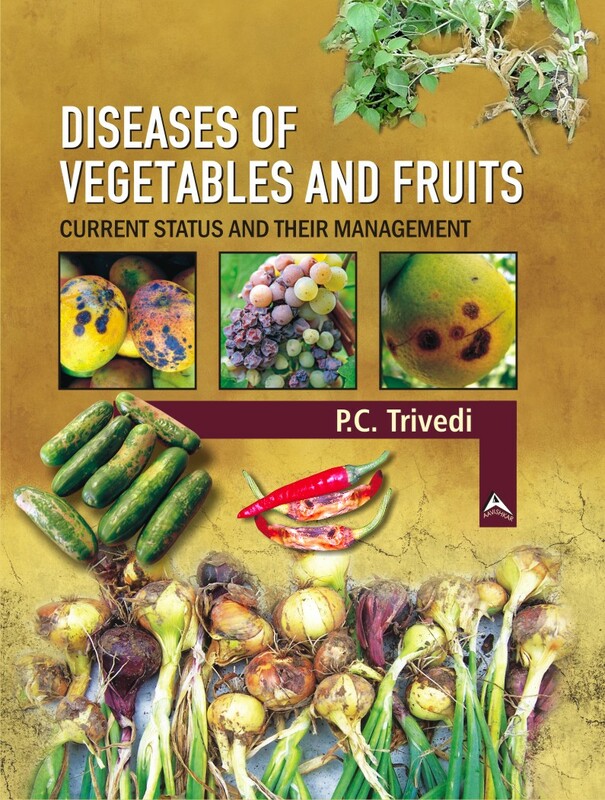 This book contains 12 chapters covering major titles as: Major Diseases of Vegetable Crops and their Management; Wilt Disease of Tomato and its Management in North-East India; Chilli Anthracnose and its Management; Integrated Pest Management in Cucurbitaceous Crops; Fusarium Wilt of Pea and its Management; Onion Anthracnose; Tree Bean Decline in Perspective of Plant Pathological Point of View; Current Status of Citrus Huanglongbing Disease and Future Strategies; Management of Post Harvest Diseases of Fruits and Vegetables; Mango and its Post Harvest Losses; Diseases of Cashew and their Management; Management of Fruit Diseases. This book will become valuable to students, teachers, research workers in plant sciences, agriculture, breeders, applied biologists and knowledge will benefit to the farmers.